LIST PRICE: $849,000 – Sold for over the asking price! This “just-right” renovated 4-bedroom home offers a two-story addition with a family room & breakfast room off the updated kitchen. The breakfast room opens through sliding doors to the brick patio and spacious back yard with planting beds – a perfect space for entertaining! The home has been extensively updated with refinished hardwood floors on the main and upper levels, newer double-pane windows and doors and freshly painted throughout. The main floor also includes a formal living room with wood-burning fireplace & mantle, formal dining room and charming sunroom/den with a vaulted ceiling, skylight, exposed brick wall & sliding door to the back patio. Upstairs you will find 4 bedrooms and 2 full bathrooms. The spacious master suite offers a sitting area and a walk-in closet. The master bathroom is light & bright with it’s skylight, new vanity light, countertop & faucet. Outside the master bedroom is a roomy linen closet and built-in bookshelves in the hallway. The three additional bedrooms offer refinished hardwood floors & fresh paint. The hall bath has a new mirror, vanity and lighting. The freshly updated basement with exterior backyard access has newly-installed carpet, fresh paint and extra storage closets. The attached one-car garage offers a work bench with lighting, painted floors and storage. The roomy, level, fenced backyard offers planting beds & a brick patio perfect for entertaining and outdoor play. 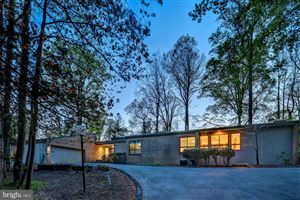 The home is ideally-located near Ayrlawn Park, Bethesda Trolley Trail, YMCA, RideOn bus, shopping and restaurants, plus easy access to Interstate 495. Enjoy some of the best schools in the country – Wyngate Elementary, North Bethesda Middle School, Walter Johnson High School. This remodeled rambler is ideally located on a quiet cul-de-sac in popular Sumner. Updated kitchen with painted wood cabinets, granite counters and stainless steel appliances. Fully remodeled baths on the main level. Newer windows and hardwoods throughout main floor. The family room with its vaulted ceiling opens to a roomy deck overlooking the private backyard. Office or 4th bedroom option adjacent to family room. The master bedroom offers a private fully renovated bath with vanity and shower. The spacious basement with 440 sq. ft. offers a generous second family room with fireplace, plus tons of storage space, a half-bath and a laundry area. The home offers off-street driveway parking and street parking on the quiet cul-de-sac. Conveniently located in Sumner, it is within approximately one mile of the DC line and an easy commute via Massachusetts Ave. Ideally located near the Capital Crescent Trail, MetroBus, RideOn, parks, restaurants & shopping at Westbard, Kenwood Station, and Sumner Place shopping centers. Enjoy some of the best schools in the country – Walt Whitman High School, Pyle Middle School and Woodacres Elementary. This home is a rare find! Contact Brian or Amy Maury for a private showing anytime! Bethesda Real Estate is Hot! As I am sure you may have heard on the news and read in the paper, real estate is back! As professional agents, Brian and I are hearing comments from people that it must be a great time to be in real estate. Well, the market has certainly surged again and it’s nice that we no longer have to comfort sellers who were unable to sell their homes for an acceptable price as we did during the dog days of the Great Recession; however, now it’s the buyers that need comfort and encouragement! It’s pretty tough to find a home right now in Bethesda…and when they do finally settle on one, they often find themselves in competition for the purchase. There are 183 single family, detached homes available for sale. The average price is a whopping $1,695,732! The median price is $1,375,000. 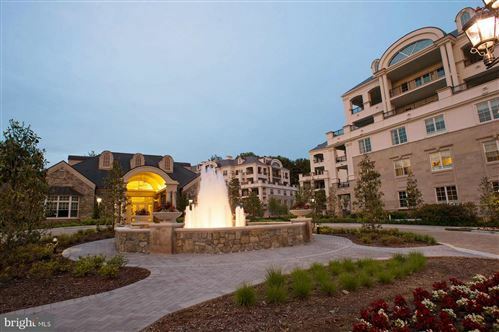 Of the 183 homes for sale, there are only 54 priced below $1 million dollars right now! In April 2013, 62 homes sold or went under contract priced below $1 million. See the picture? We have less than one month of home sale inventory below $1 million. That means more homes are currently selling in a month than are being listed in that price bracket. In the range north of $1 million, we have about a 2-3 month’s supply of inventory, according to the multiple listing service. Of course inventory is boosted in that range by builders who have come back into the market, actively removing old dilapidated homes from lots and rebuilding brand new homes, typically in the range of 5,000+ square feet in size. If you’re thinking of selling a home in Bethesda, it’s definitely a great time to do so. We offer a complimentary market analysis, at your request. If you’re thinking of buying, let’s talk about a home buying strategy. We have been helping clients buy homes that are not yet listed for sale where possible. A pro-active plan is often the best approach! With interest rates so low, it’s still a great time to buy even though inventory is tight. 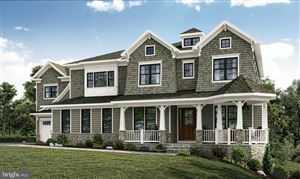 See all Detached Homes Bethesda.